It’s September! Season changes are always a funny time for me and this blog because the weather is so different all across the country. While some people are probable enjoying some nice crisp weather already, we are still sweating here in this 100 degree weather. It has started to cool off in the morning so I know that true fall weather is on its way soon. 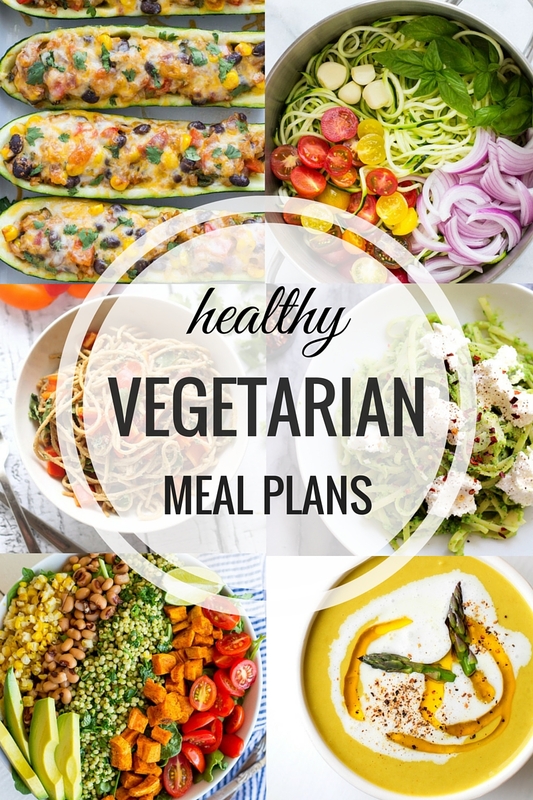 I hope you all are enjoying this Healthy Vegetarian Meal Plan series and I would love to hear from you if you have any suggestions or requests from us! Happy Saturday and have a wonderful weekend! Prep Ahead Tip: Marinara sauce can be made ahead of time and stored in an airtight container. Vegan/Gluten-free Substitutions: Recipe is already gluten-free. Sub cashew ricotta and nutritional yeast to make it vegan. Prep Ahead Tip: The tofu ricotta can be made ahead of time for easy prep. Vegan/Gluten-free Substitutions: For gluten-free, use gluten-free noodles or zucchini. Prep Ahead Tip: The slaw can be prepared and stored in an airtight container for up to 2 days. Vegan/Gluten-free Substitutions: This recipe is vegan. Use corn tortillas to make it gluten-free. Prep Ahead Tip: Feel free to chop the peppers ahead of time and store them in the fridge, but otherwise this recipe comes together in under 30 minutes as written! Vegan/Gluten-free Substitutions: This recipe is vegan and gluten free, so no substitutions necessary! Prep Ahead Tip: You can make the tahini sauce ahead of time, if desired. Vegan/Gluten-free Substitutions: Recipe is already vegan and gluten free! 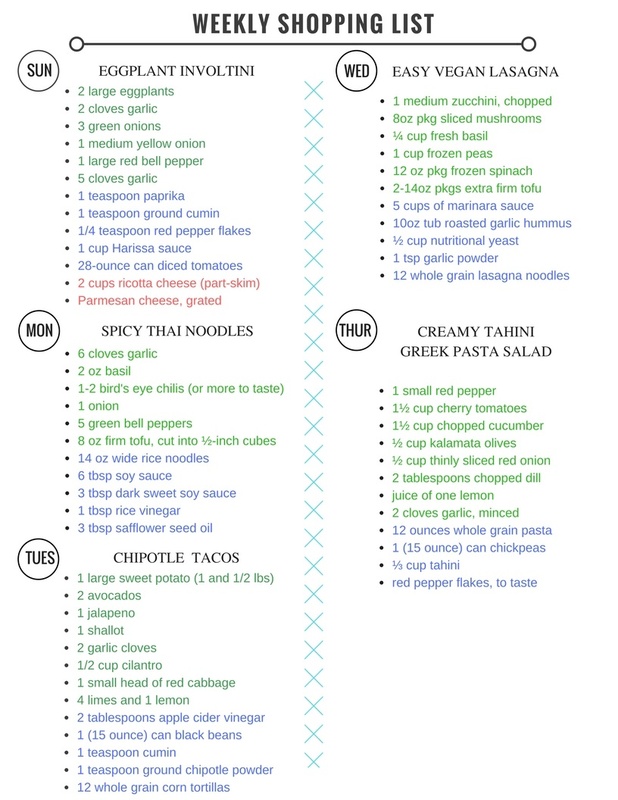 Do you know that this is being cross posted on http://www.theroastedroot.net/healthy-vegetarian-meal-plan-week-9/ ?